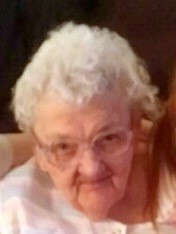 OSWEGO – Mildred S. Rossi, 82, of Oswego, passed away Sunday morning February 22, 2015, at her home surrounded by her family. She was born in Oswego and was the daughter of the late Alex and Della Dubiel Bogawitch. She was the widow of the late Constantino Rossi Sr., who died in 2002. Mrs. Rossi was a lifelong Communicant of St. Stephen’s Church. She is survived by three daughters, Donna (Neil) Batchelor, Kathy (Edward) Kuzawski Jr. and Shirley Rossi; two sons, Constantino Rossi Jr. and Edward (Anita) Rossi all of Oswego; one brother, Anthony Bogawitch of Oswego; two sisters, Genny Amico of Fulton and Veronica Woods of Oswego; several grandchildren including her first grandchild and caregiver, Connie Karpinko; several great-grandchildren and several nieces and nephews. Funeral services will be held Friday 10:30 a.m. from the Dain-Cullinan Funeral Home and at 11 a.m. in St. Stephen’s Church. DONNA….SO SORRY FOR UR LOSS !!! KNOW HOW CLOSE U & UR MOM WERE. I WILL NOT BE ABLE TO ATTEND WAKE. AFFRAID TO GET OUT IN THIS WEATHER. 86 YEARS OLD & CAN’T AFFORD BROKEN BONES FROM A FALL…….I HAVE TROUBLE ENOUGH WALKING ON BARE GROUND, BUT, I WILL BE THINKING OF U & THE REST OF UR FAMILY ?? I am so sorry for the loss of your Mom. My prayers are with you at this time of sadness.